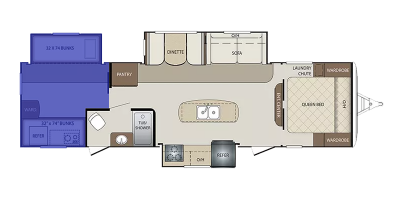 When shopping for an RV, determining the right floor plan for your RV lifestyle is important! 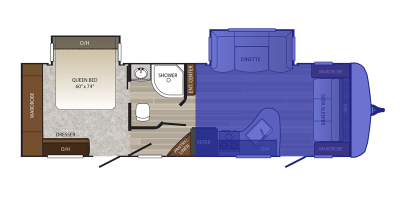 At National RV, we offer every floor plan type to accommodate all RVing needs. From the family-friendly bunkhouse layout to a luxurious front living layout, we have it all! We carry models with central kitchens, rear kitchens, front bedrooms, and rear bedrooms. From cozy travel trailers to large fifth wheels with numerous slide outs to huge Class A motorhomes, we've got it covered! If you can think it, we most likely have it! Families love our always-popular bunkhouse models that feature bunk beds and multiple bathrooms for easy, convenient family camping. We also offer toy haulers with lofts and additional bathrooms for versatile living arrangements. Our large fifth wheels and motorhomes are well equipped and appointed to keep even the most discerning RVers happy while enjoying the freedom of the open road. 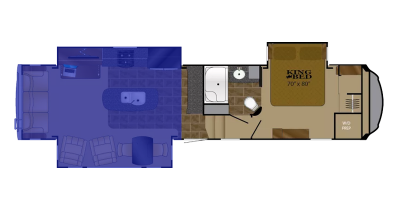 Check out our available floor plan types to determine which layouts fit your needs the best.